Baal, Mephisto and Diablos is a mega-collaboration project by top underground Japanese acts Savage Scream. Noise Gust and Far East Ghost. Baal is the project made by Savage Scream and Noise Gust, and have already released a number of singles and repeatedly appeared in Goa Gil’s "Divine Dozen". Many freaks may remember "Strawberry Chocolate", the heavy underground sounding single that betrays its sweet title. Mephisto, a unit that consists of Noise Gust and Far East Ghost, will be making their debut release on this disc. The track, "Necromancer club", has also appeared in the latest Divine Dozen and is already eagerly anticipated by many people. Finally, Diablos is the collaboration unit by Savage Scream and Far East Ghost. Their first track, a fierce piece of psychedelic music, is scheduled to have first track release on Triplag Music V.A. Trip Formation (July 2008). Although it is the least known project of the three and has been shrouded in mystery, the secret will soon be unveiled to the world. The three projects cannot simply be described as versus tracks, but rather through the dynamism of each unique collaboration, a new flavor has emerged that will elevate psychedelic music to the next level. 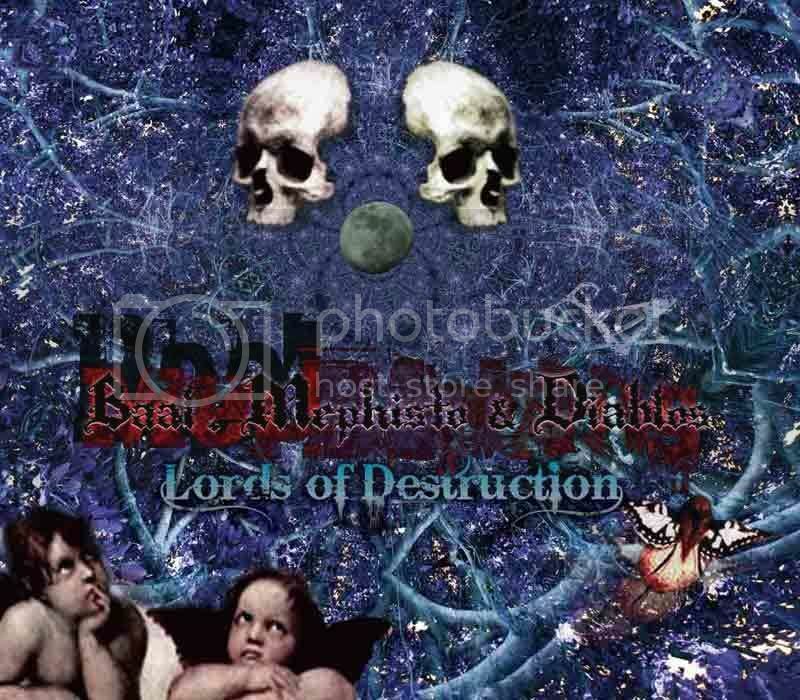 Each project will present three tracks, plus a special last track by all three artists, called Blizzard -- Terror’s End, will add up to the 10 previously unheard tracks that can be found on this split album -- "Lords of Destruction". The end of summer 2008 will be the time where the true identity of these 3 projects will finally be unleashed! Last edited by TRIPLAG MUSIC on Mon Sep 29, 2008 10:51 am, edited 3 times in total. Playing too much Diablo, eh? mizuki is one of my favourite producers ever and I'm sure the collaborators will push the boundaries of intense dark psychedelic music with him. Lords of Destructions are coming at the end of September! Very nice !!! The BPM changes in the last tracks is really interesting, this is the future of heavy twisted music i think..
really really good combinations here, im sure its gonna be a massive one. yes actual cover and A3 posters!